London is full of amazing spots for Instagram pictures. 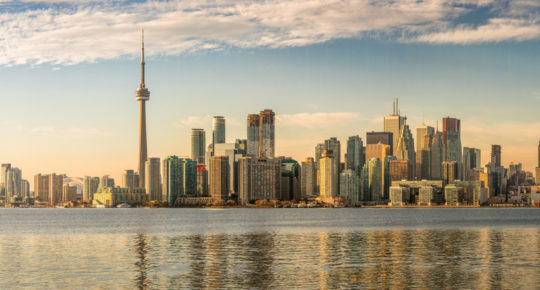 Whether you’re looking for Insta-worthy landscapes, old pubs, or interesting architecture, these locations will have you covered. 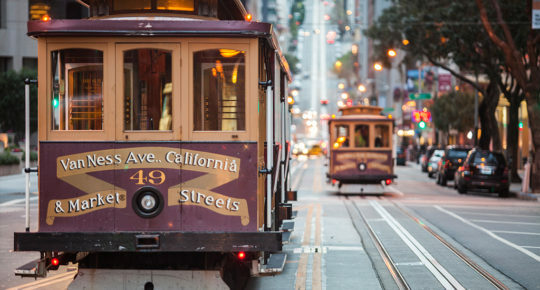 Here’s your ultimate guide to the 7 most Instagrammable places in the city. The Cathedral has been a part of the London skyline for over 300 years. Once the tallest building in London, it’s a must-see attraction both for it’s interior and exterior. 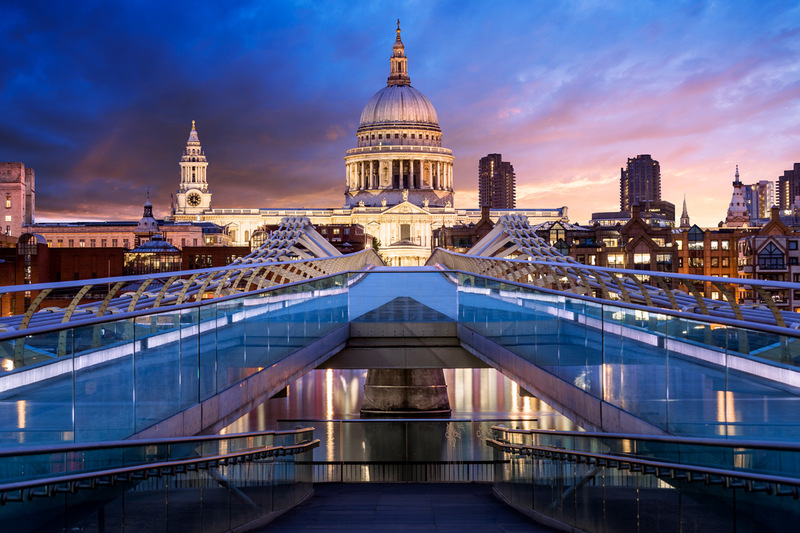 Insider tip: Take a snap from Millennium bridge for some eye-catching symmetry and a mix of old and new. 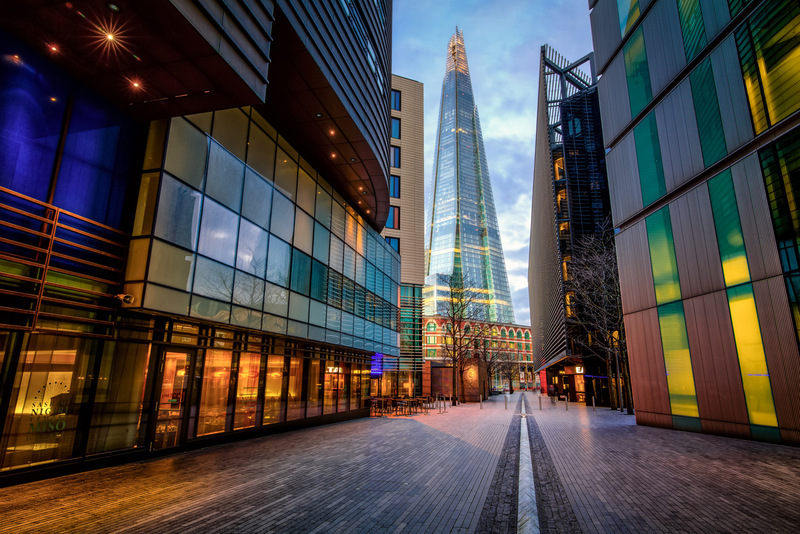 If you’re looking for the picture-perfect postcard of London, then London Bridge is the place for you. A trip to the iconic spot can be combined with a visit to the Tower of London and plenty of river walks along the Thames. All of which will provide plenty of content for your Instagram story. Insider tip: Try and get to Tower Bridge early in the morning when there are fewer people around. The view from the top of the Shard is just as impressive as looking up to the top of the building from the street. 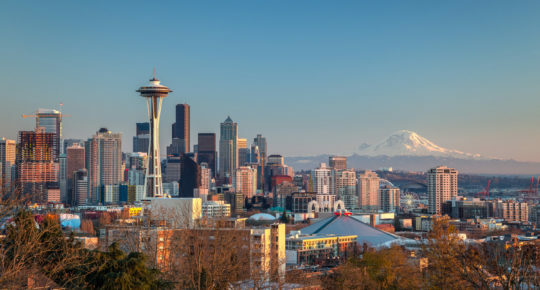 Head to the viewing platform on the top floor, and you’ll be treated to 360 views of the city. Insider tip: The flight path to London City Airport offers stunning views of the Shard, Canary Wharf and Waterloo. If you get a window seat, this is an ideal way to start your Instagram posts and story. Located in the heart of London, along the River Thames, the London Eye is across the river from the Houses of Parliament and Big Ben. 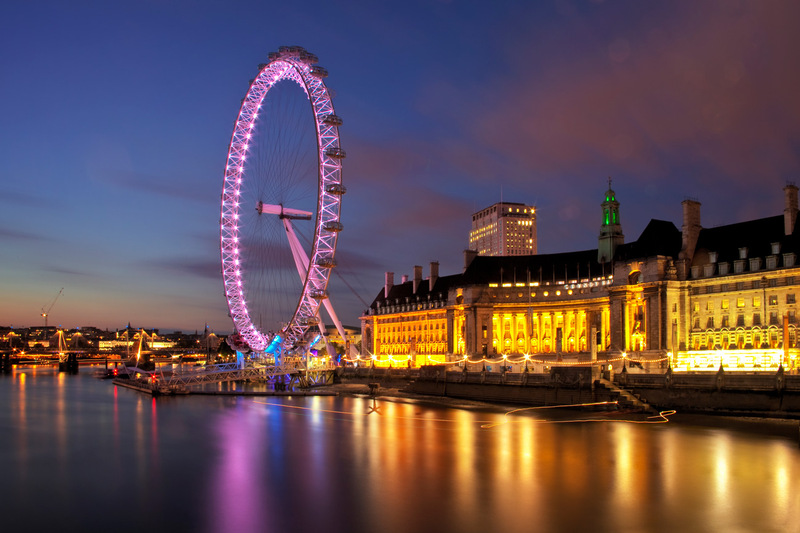 It’s the world’s tallest observation wheel and has become one of London’s most iconic structures. From the eye, you’ll see top city sights such as Westminster Abbey, the Royal Albert Hall, Buckingham Palace and Picadilly Circus. Probably the most decorated pub in London. The pub’s collection of plants started as a couple of hanging baskets and has bloomed into 100 tubs, over 40 baskets and nearly 50 window boxes. During the Christmas period, the bar is covered in 90 fully decorated Christmas trees – it’s not be missed! Insider tip: Head inside and try out their famous Thai food. The Churchill Arms claims to be the very first London pub with a Thai restaurant, which opened over 25 years ago. 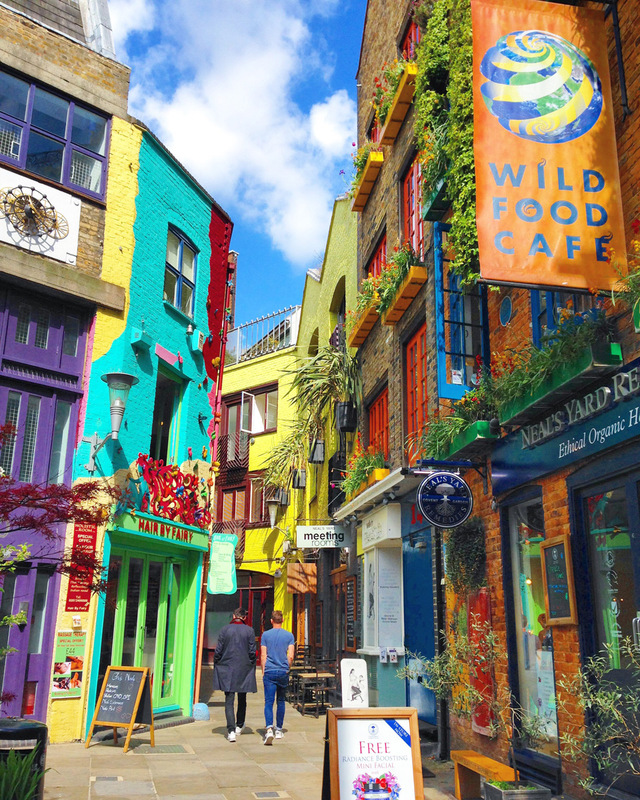 A hidden gem in London’s zone one, Neal’s Yard is accessible via 2 little-cobbled lanes. Wander inside this secret spot, and you’ll be greeted with colourfully painted houses, restaurants and the flagship store of iconic Beauty Shop Brand, Neal’s Yard. 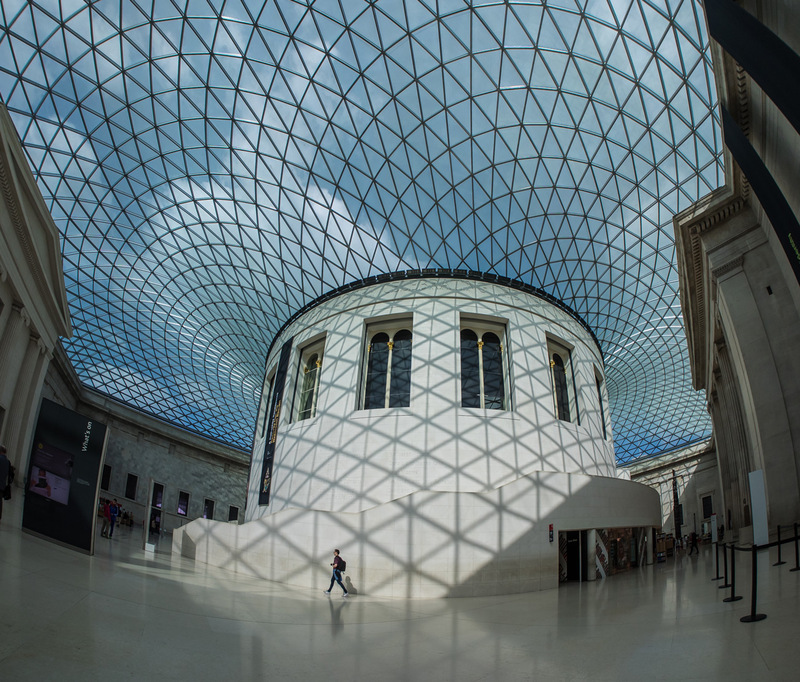 The architecture of the British Museum is almost as impressive as the collection it holds. The museum is free to enter, and it’s a great rainy day activity. One of the best shots of the museum can be found by walking up the stairs to the gallery area where you can get an expansive view of the courtyard and the roof. Insider tip: You can use the panoramic feature on your phone to get a wide-angle photo to capture more of the courtyard and the roof. 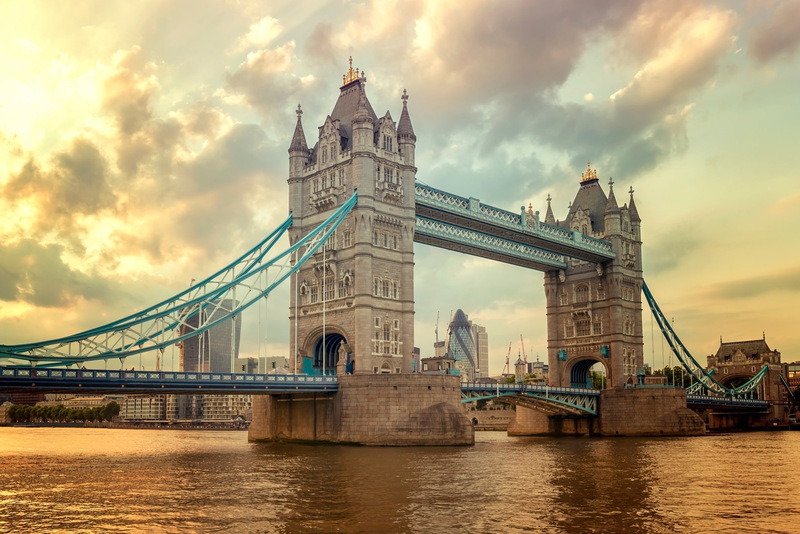 We offer up to 35 flights a day to London from Dublin, Cork, Shannon, Knock and Belfast. 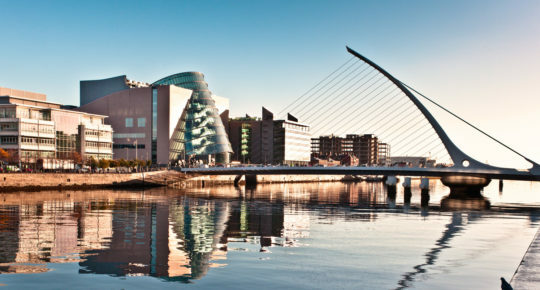 From Dublin, you can fly to three of London’s primary airports London City, Gatwick and Heathrow. Each airport is connected to London by rail, taxi and road. Book your trip to London now at aerlingus.com.